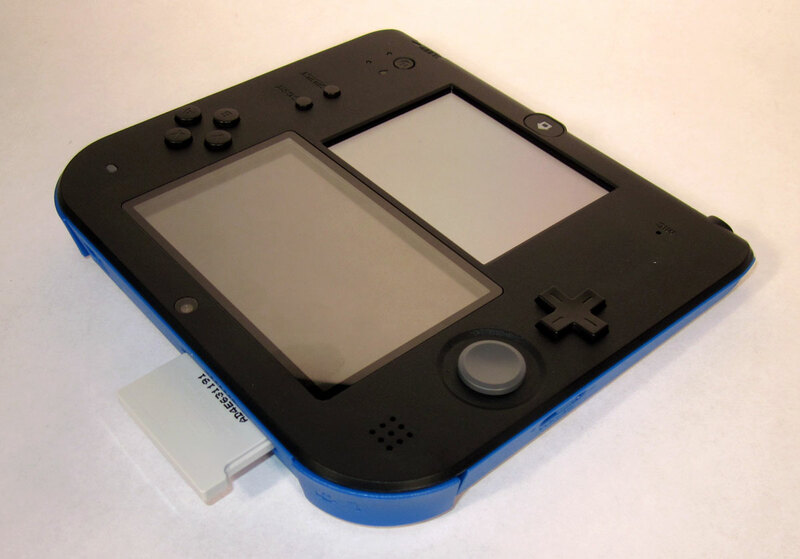 The images of the Nintendo 2DS are categorized and show the console, buttons and games. You will also find detailed close-ups of the ports and connections available on the 2DS. 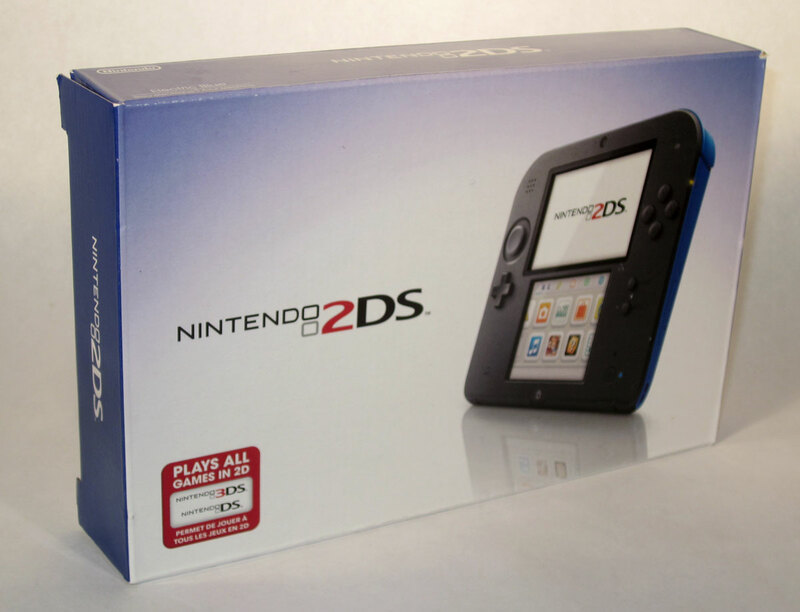 The Nintendo 2DS box. 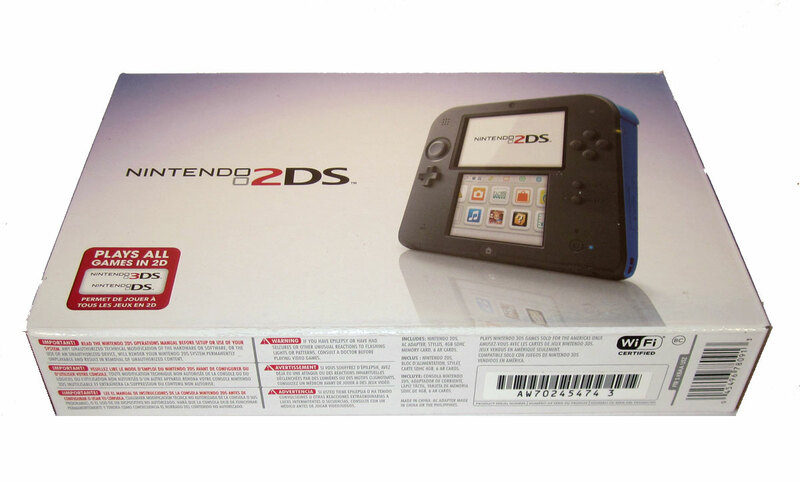 The 2DS is a handheld game console created by Nintendo that was announced in August 2013. It was released in North America, Europe, Australia and New Zealand on October 12, 2013. 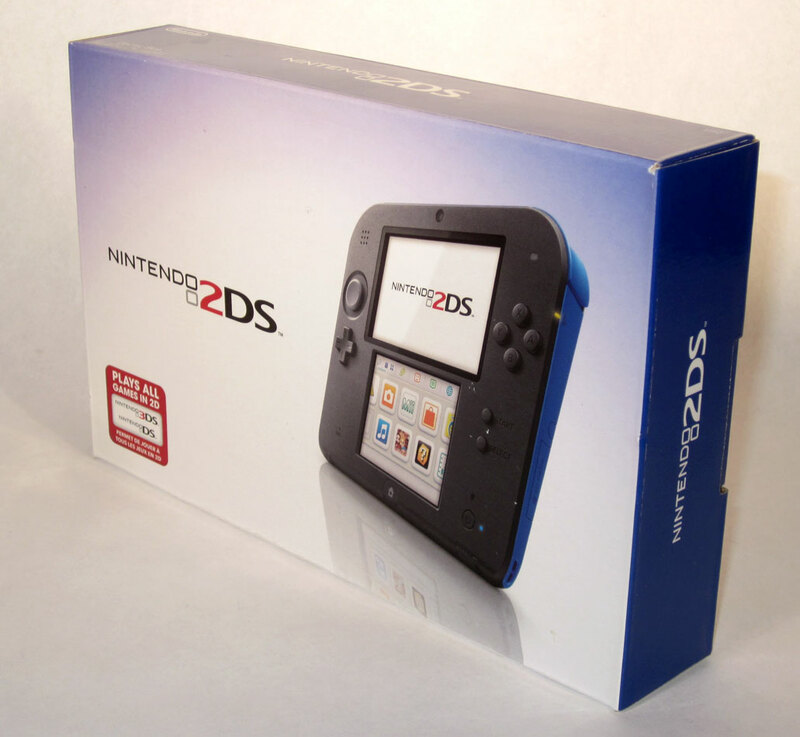 The Nintendo 2DS box. It's is a scaled-back version of the Nintendo 3DS which is compatibile with Nintendo DS and 3DS games, but uses a new flat design rather than the clamshell design. Whereas this affords not screen protection, it seems more comfortable to hold for longer gaming sessions. 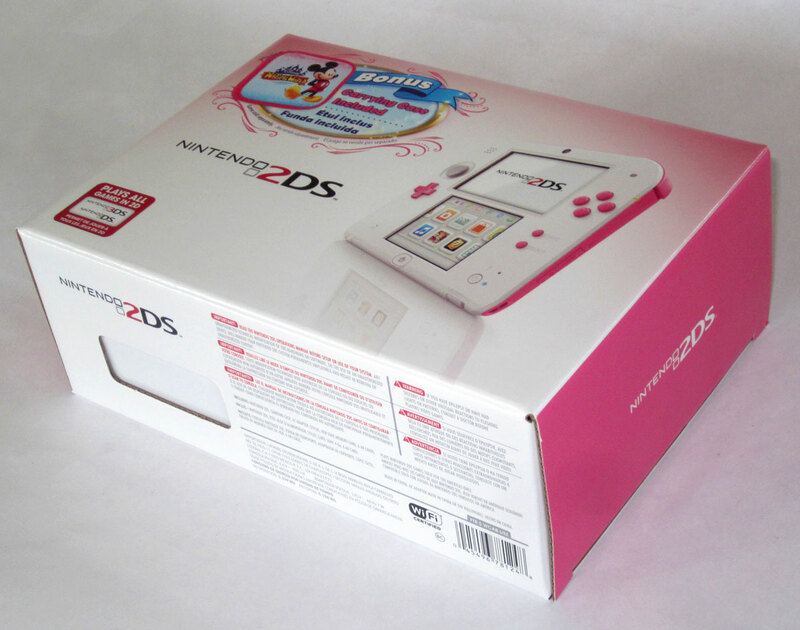 The Nintendo 2DS box. Part of saving costs for this model, Nintendo removed the 3D capability found in the 3DS line. the lower cost was to expand the user-base of Nintendo's current handheld market. Back of the Nintendo 2DS box. Nintendo alleged this less expensive model was geared toward children, particularly those under 7. It seems to us that everyone likes saving money and the major difference it the 3D that many users claim to turn off most of the time. 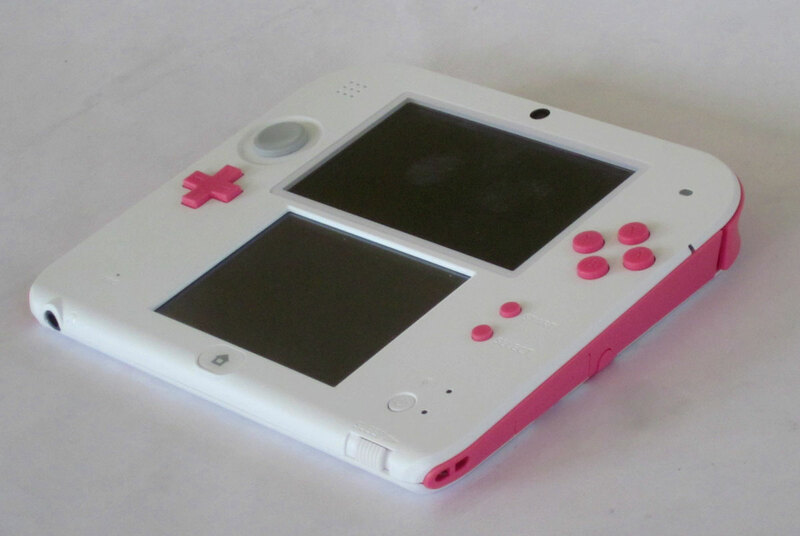 The Nintendo 2DS. 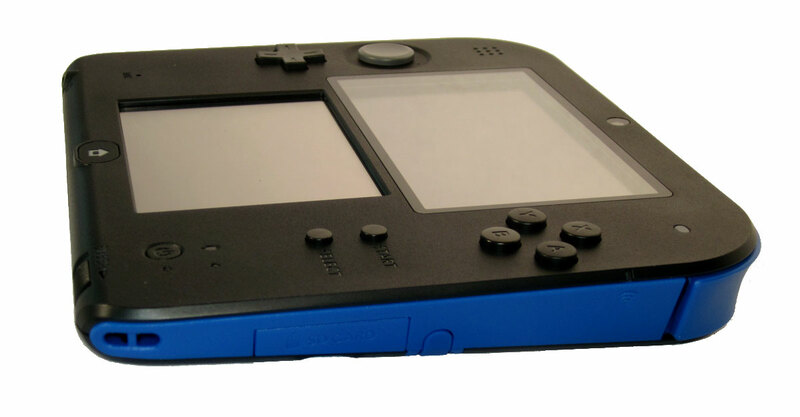 Color-wise, the 2DS was available in North America in Blue & red, while Europe and Australia were given white and blue. At launch, there was no planned release for Japan. 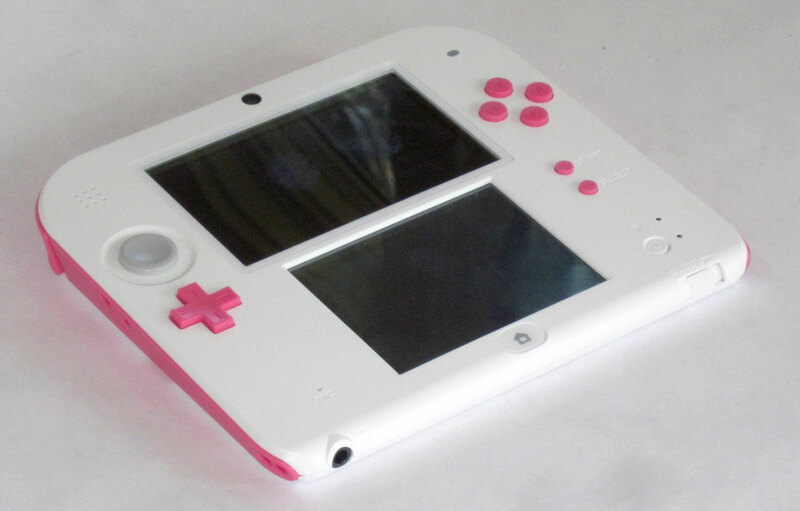 Left side of the Nintendo 2DS. The Nintendo 2DS's hardware specifications are almost identical to those of the Nintendo 3DS. It maintains features such as its GPU, CPU and memory. Right side of the Nintendo 2DS. 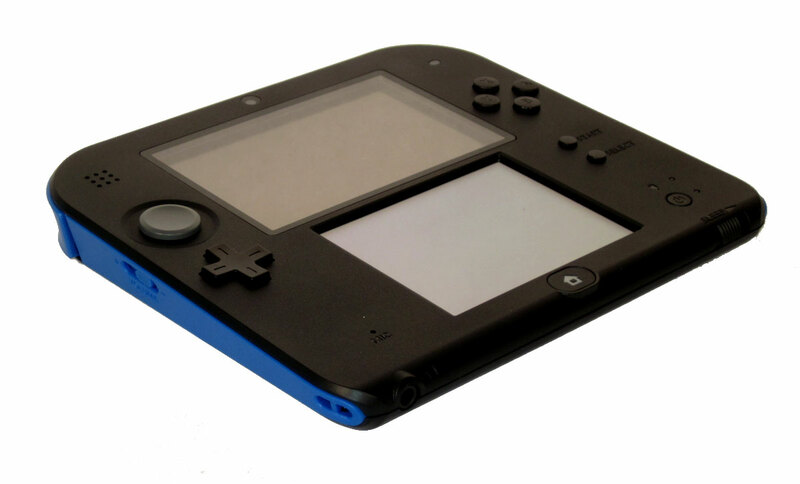 Unlike the Nintendo 3DS, which uses 2 display screens (a lower touchscreen panel and a top dual-layered screen panel capable of displaying glasses-free stereoscopic 3D) the 2DS uses a single display touch panel with the illusion of two screens due to the overlay template laid on top of the screen. Another image of the right side of the Nintendo 2DS showing the wedge-shape that makes holding it much more comfortable. Despite its inability to display in 3D, the 2DS has dual cameras for taking pictures in 3D which can be seen in 3D when viewed on a Nintendo 3DS or other 3D-enabled device. 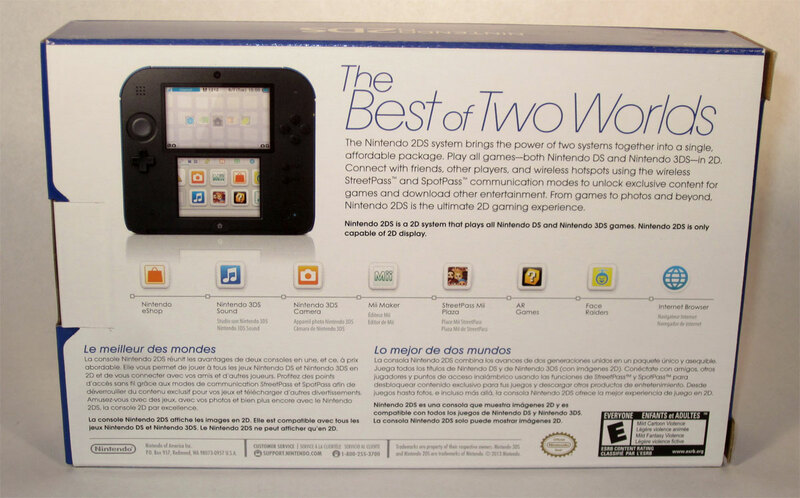 The top of the Nintendo 2DS showing it's 2 screens that are actually one screen divided into 2 quadrants. 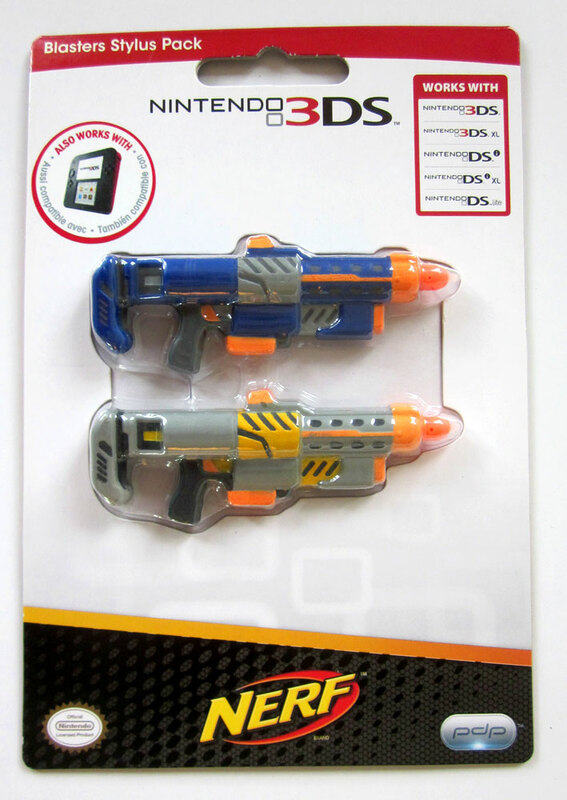 This helped in reducing the cost of the 2DS. 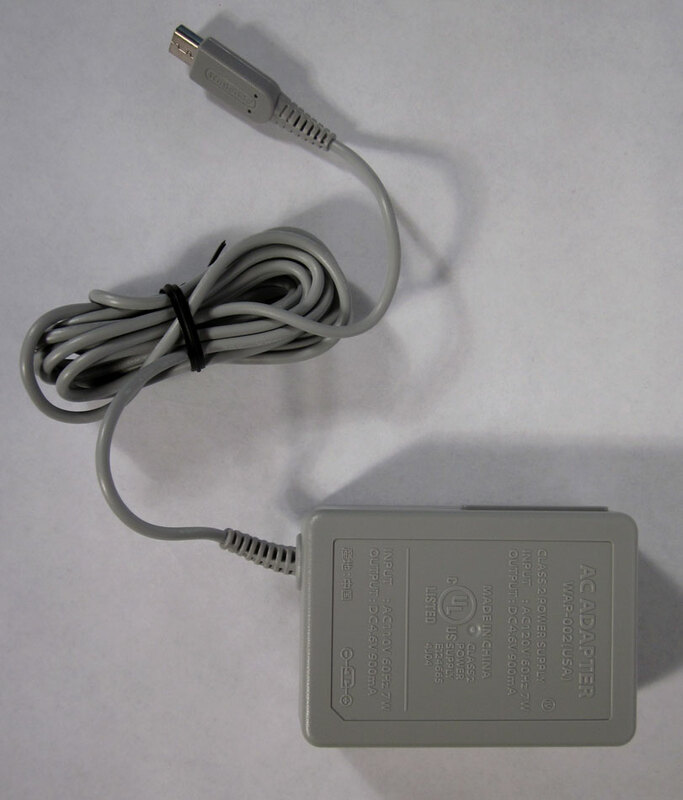 Rear of the Nintendo 2DS showing the A/C port, cart slot and shoulder buttons. The Nintendo 2DS only has an internal mono speaker, as opposed to the internal stereo speakers of the 3DS, although stereo sound can still be outputted through the headphone jack, as well as pseudo-surround sound. The bottom of the Nintendo 2DS showing the cameras. 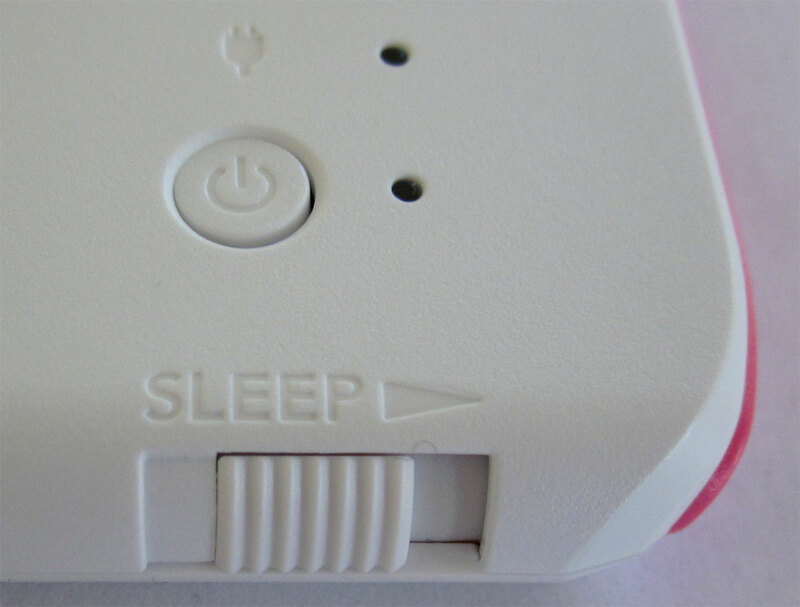 In place of closing the clam shell, the 2DS uses a dedicated switch to activate sleep mode and the hardware Wi-Fi switch from the 3DS has been removed and replaced with a software equivalent. 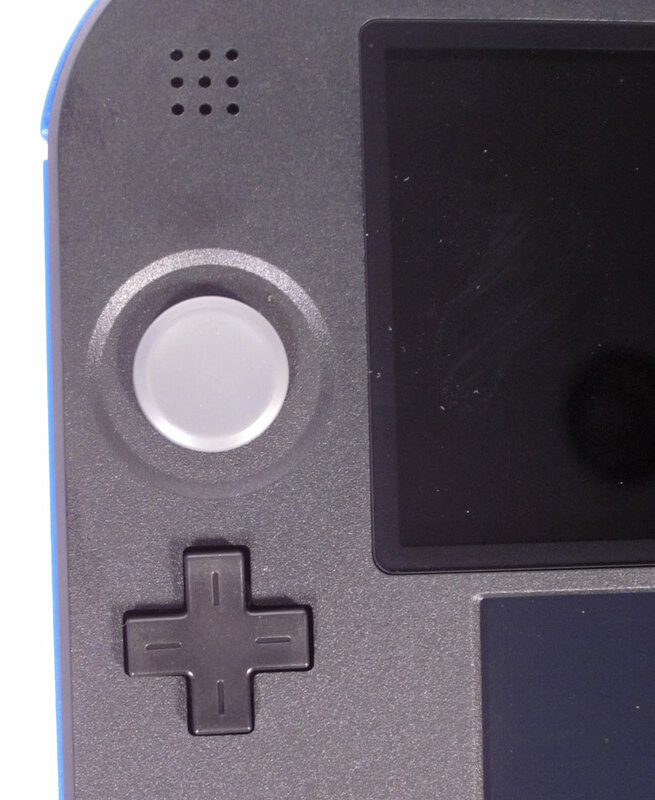 The left shoulder button of the Nintendo 2DS showing how it comfortably wraps around the corner of the handheld. The 2DS is compatible with all Nintendo 3DS software and online services via the Nintendo Network, such as StreetPass and SpotPass. The 2DS uses the Home Menu as its graphical user interface and launching software stored on game cards, on a SD card, and DSiWare titles installed in the system's internal memory. The right shoulder button of the Nintendo 2DS showing how it comfortably wraps around the corner of the handheld. 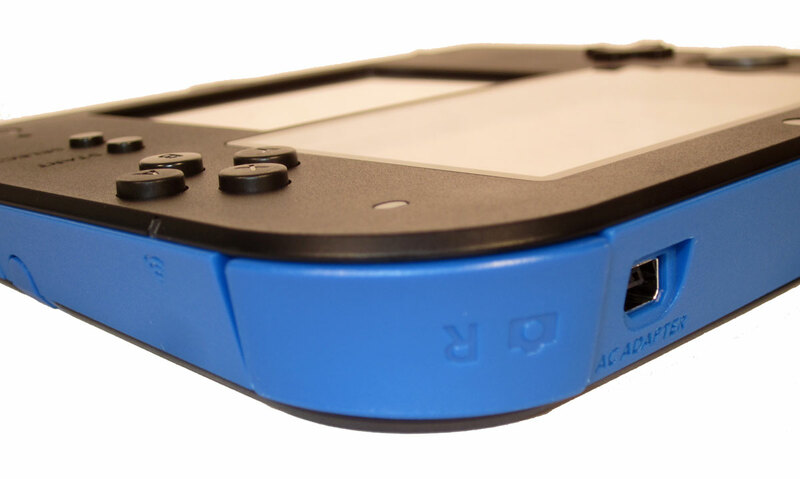 The A, B, X, Y buttons on the right side of the Nintendo 2DS. Its buttons are positioned towards the center of the device instead of near the lower screen, and its shoulder buttons are concave in shape and relatively thicker than those of the 3DS. 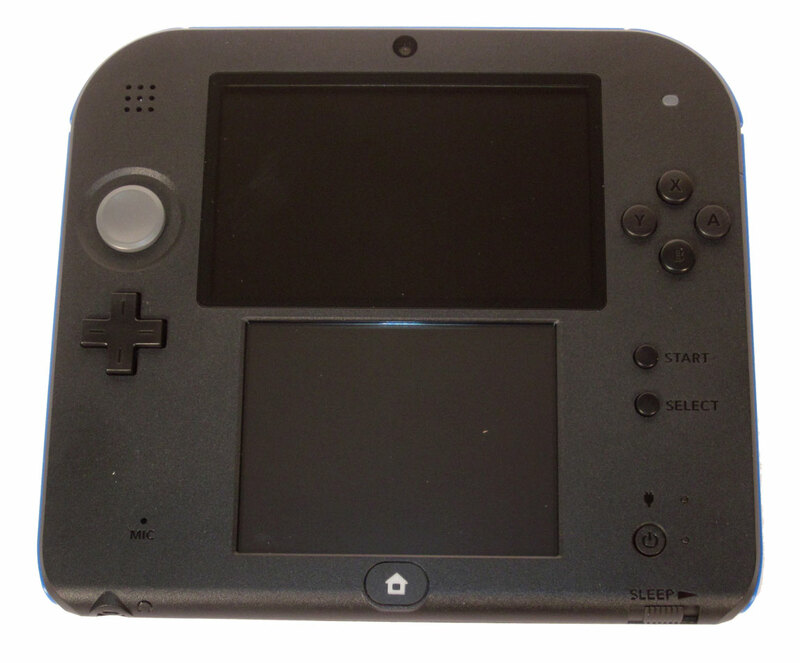 The D-pad and analog stick on the left side of the Nintendo 2DS. 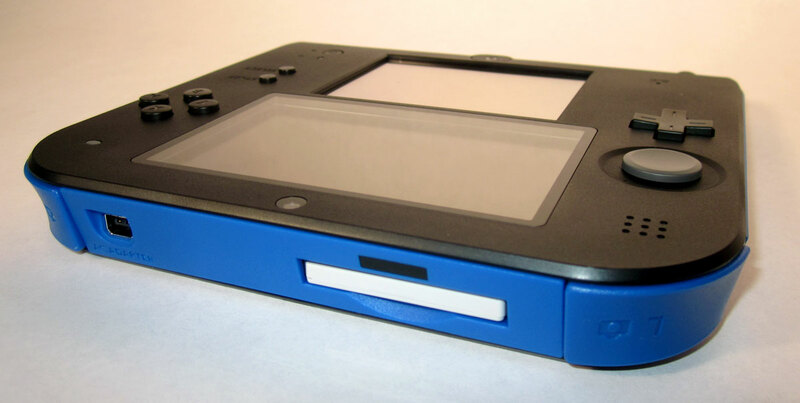 Cases for the 2DS were released simultaneously with the system's launch. 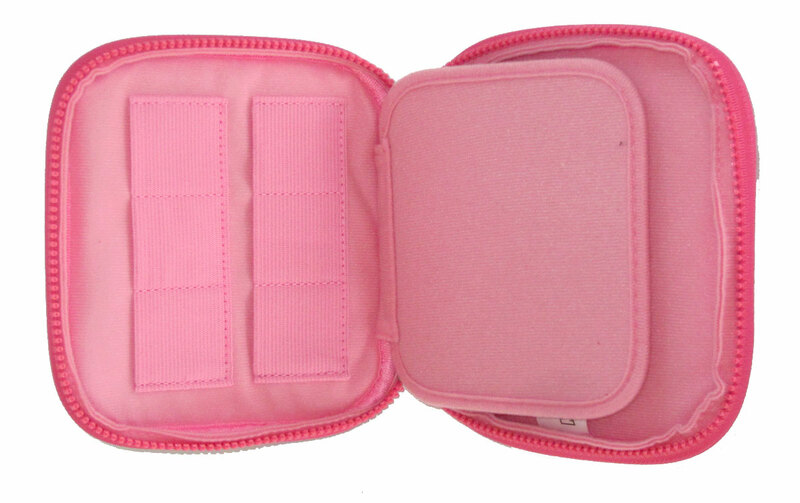 The cases were made to improve portability of the system, due to the lack of hinges on the 2DS and to prevent screen scratches from carrying the system. 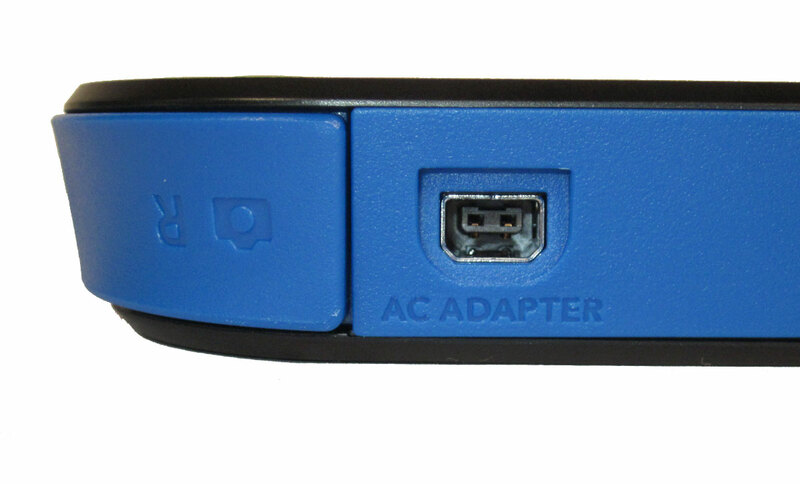 The A/C plug for charging the Nintendo 2DS. The 2DS uses the same 1300mAh battery found in the regular 3DS systems. Despite not supporting the 3DS's Power Save Mode (which dynamically adjusts the screens' backlight based on screen contents) the 2DS has a slightly better battery life than the 3DS. 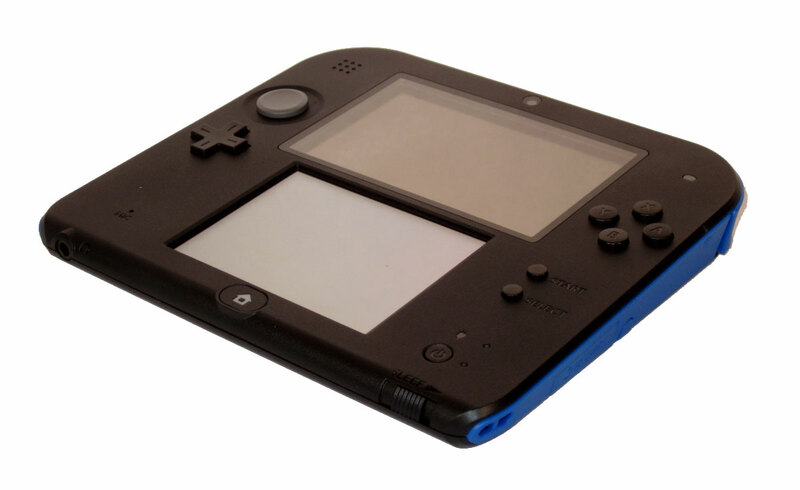 Nintendo says the 2DS is able to play from 3 to 5.5 hours of 3DS games or 5 to 9 hours of DS games on a single charge. 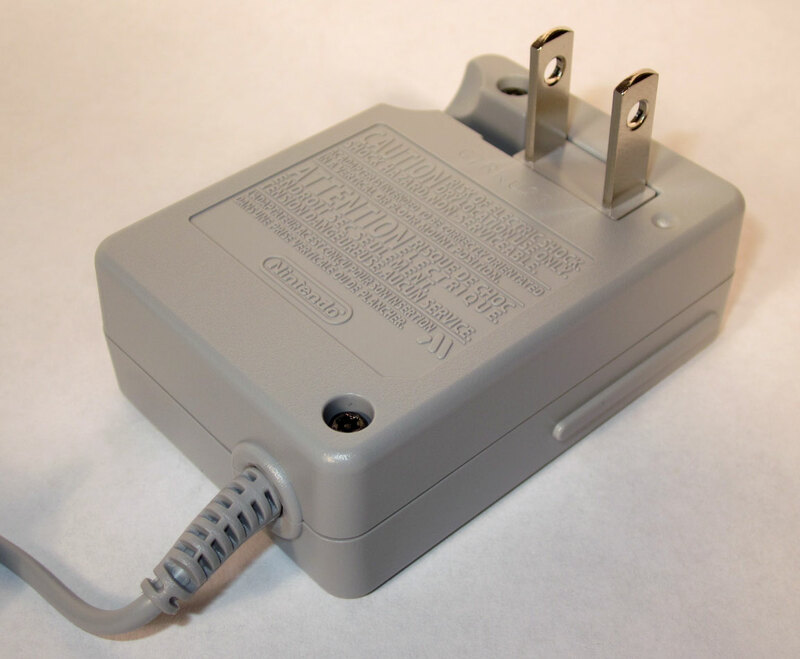 The power requirement listed on the A/C plug for the Nintendo 2DS. The prongs on the A/C plug fold away for easier storage. The Nintendo 2DS cartridge slot. 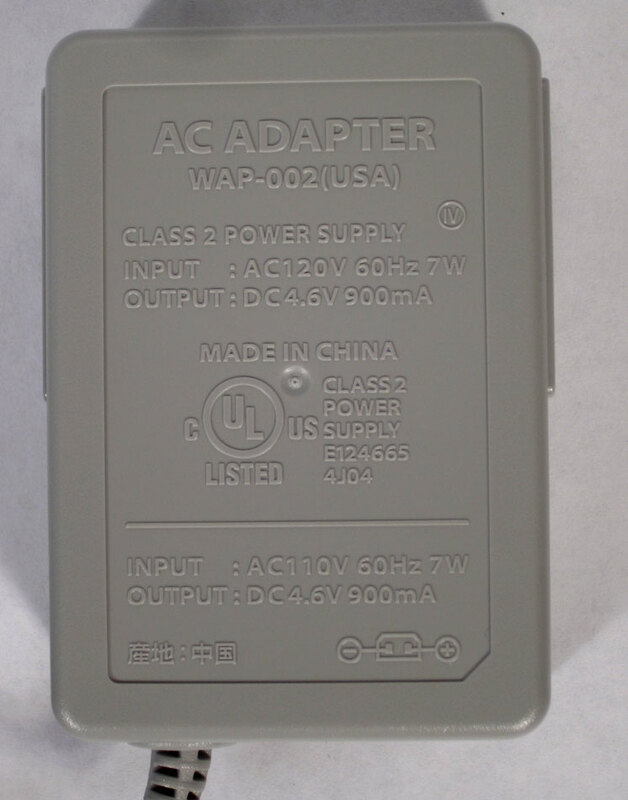 The Nintendo 2DS A/C power port. The Nintendo 2DS with a game inserted in the cartridge slot. Retail copies of games come on proprietary Nintendo 3DS Game Cards, while downloadable games are available on the Nintendo eShop. The Virtual Console service is also compatible with the 2DS. 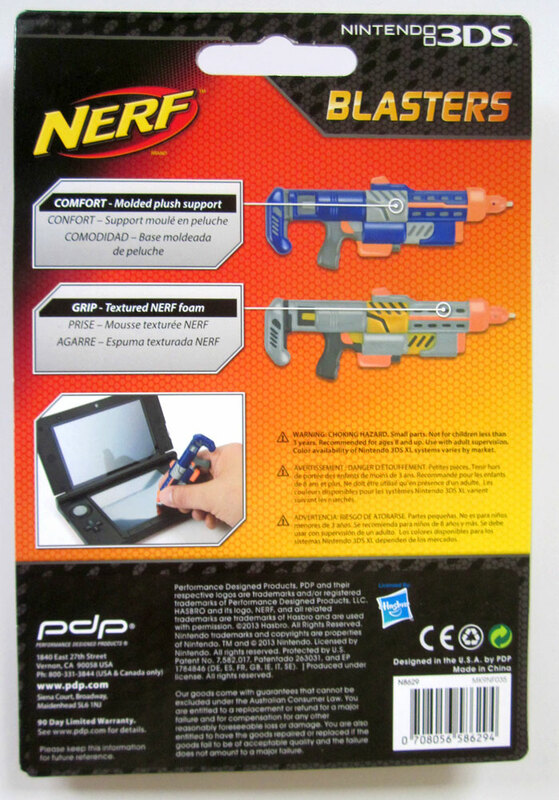 The Nintendo 2DS with a game ejected from the cartridge slot. 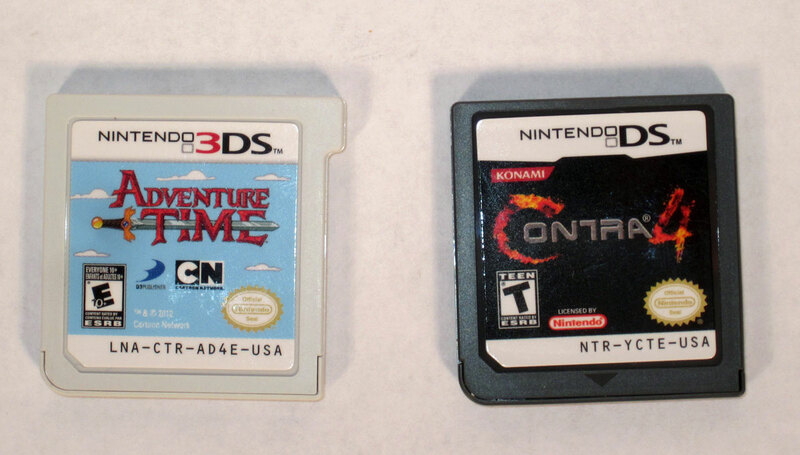 A comparison of Nintendo 3DS and DS game cartridges. Games requiring a stylus are always towards the bottom of my list. I'm more of a run 'n gun sort of player, but some of the non-gaming functions of the 2DS make a stylus quite handy. 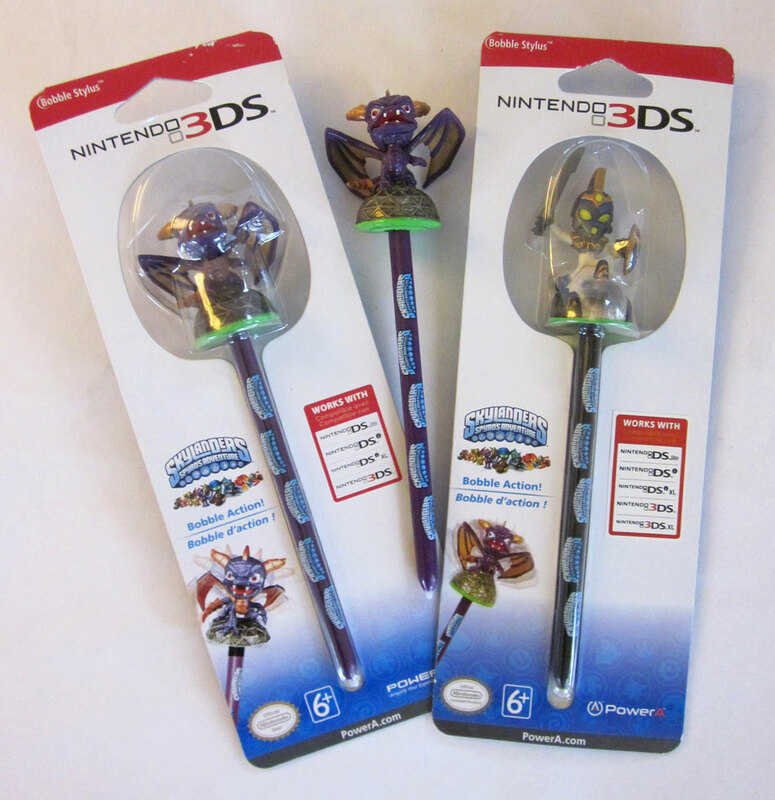 I couldn't resist these Skylanders styluses for the DS line. As shown, I picked up Spyro and Chop Chop. I found these Nerf branded Blaster Styluses, made by PDP, on the "clearance rack", at Toys R Us. 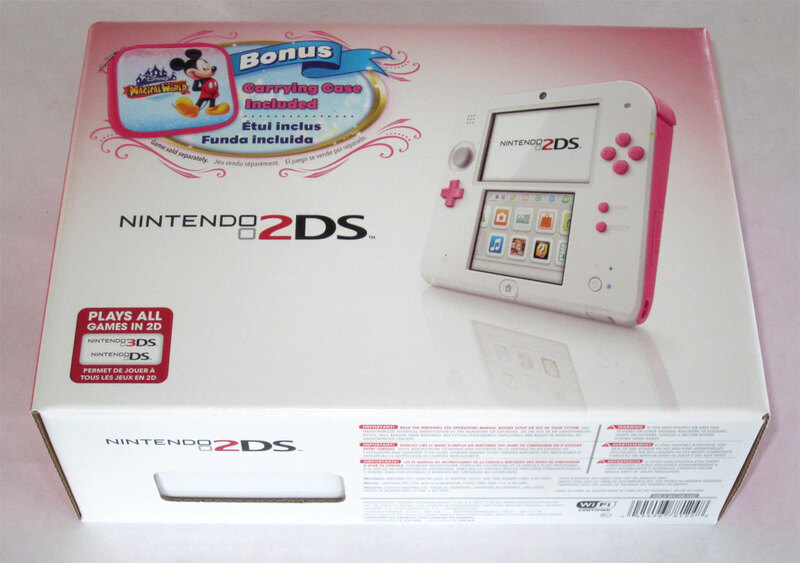 Peach Pink Nintendo 2DS box. Back of the Peach Pink Nintendo 2DS box. 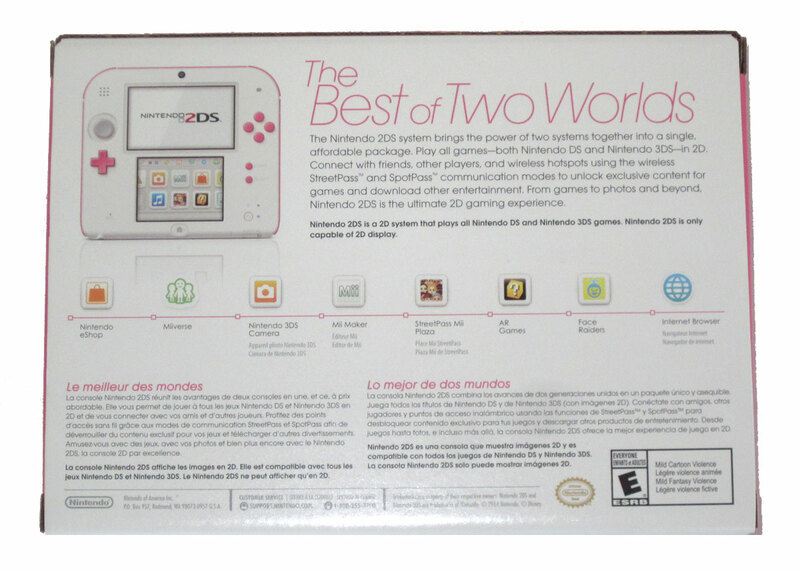 Peach Pink Nintendo 2DS and the box. 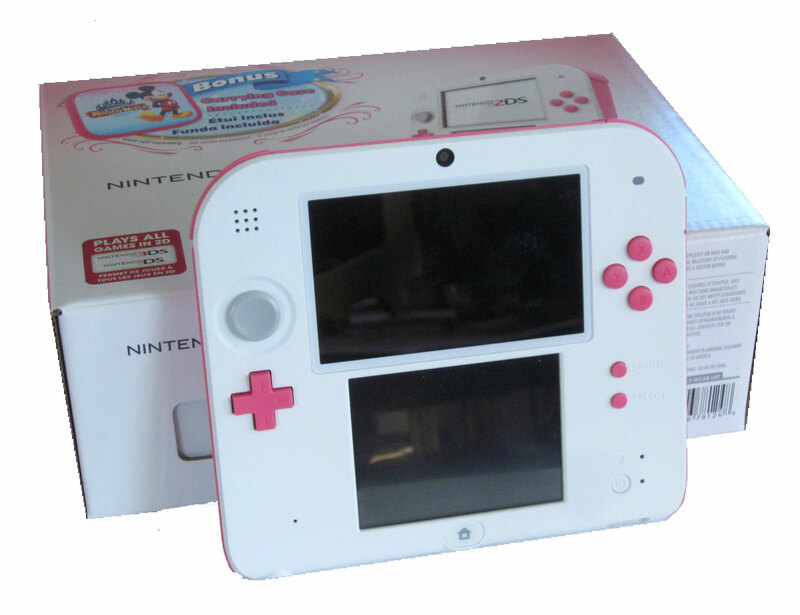 Peach Pink Nintendo 2DS handheld. 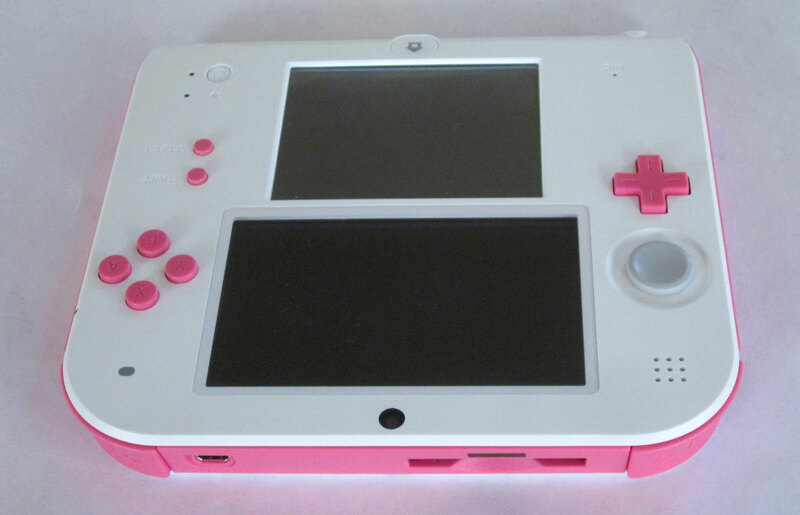 Left view of the Peach Pink Nintendo 2DS handheld. 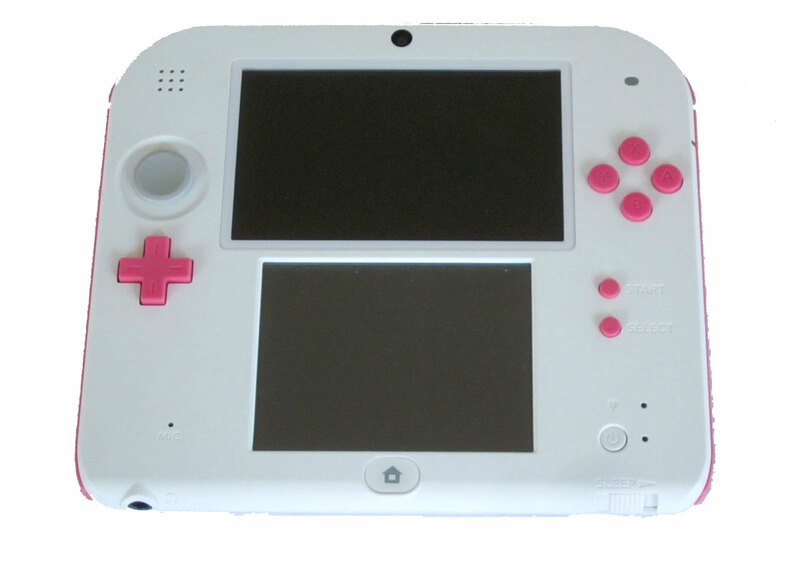 Right view of the Peach Pink Nintendo 2DS handheld. 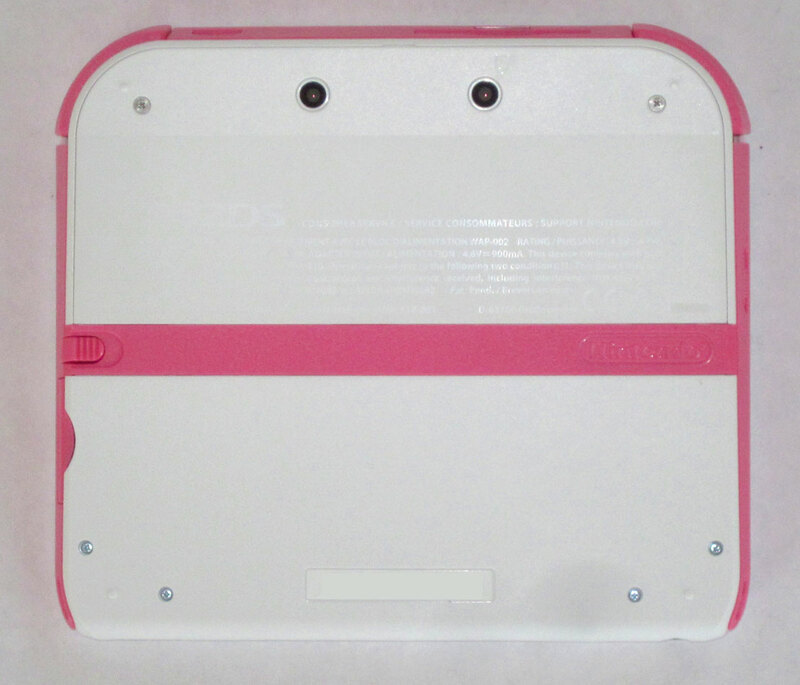 Rear view of the back of the Peach Pink Nintendo 2DS handheld. 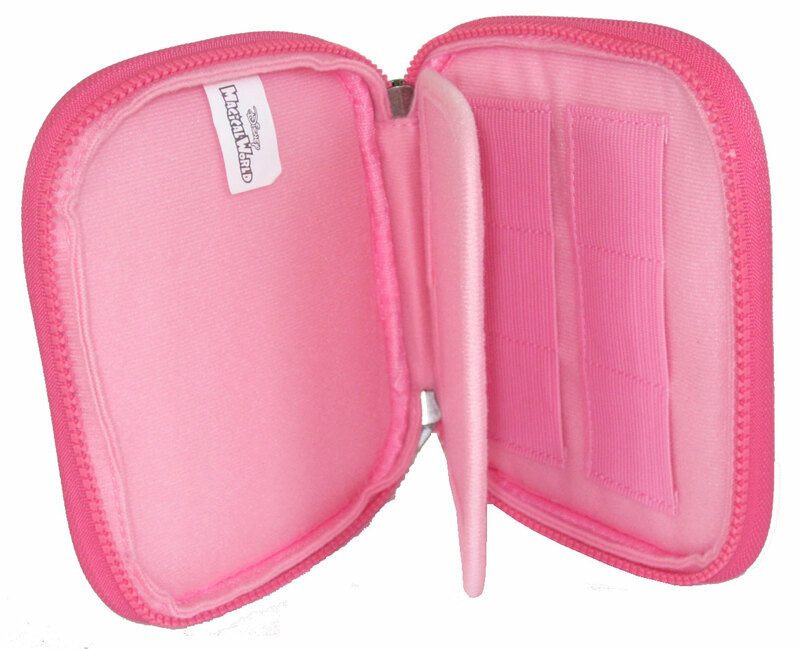 Another rear view of the back of the Peach Pink Nintendo 2DS handheld. 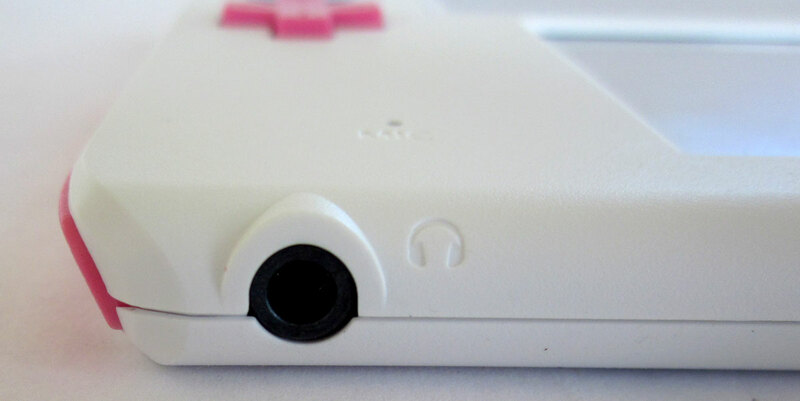 Bottom of the Peach Pink Nintendo 2DS handheld showing the dual 3D cameras. 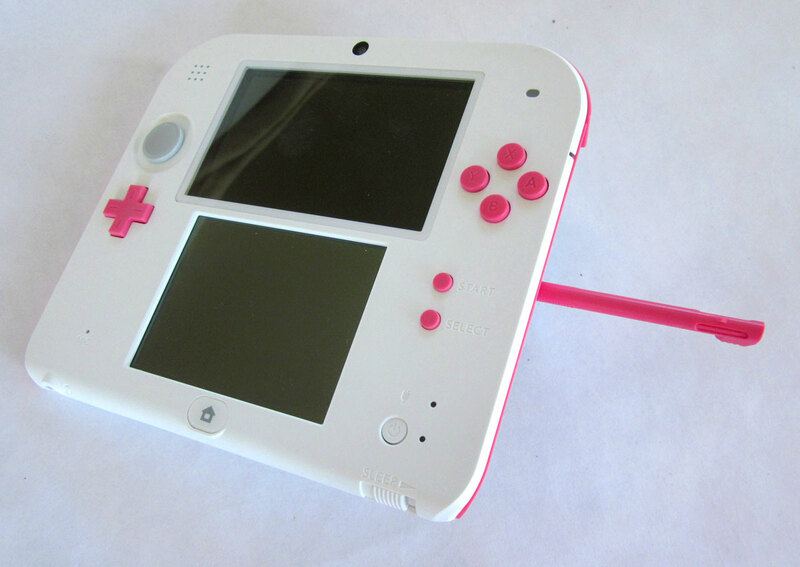 Blue and Peach Pink 2DS. 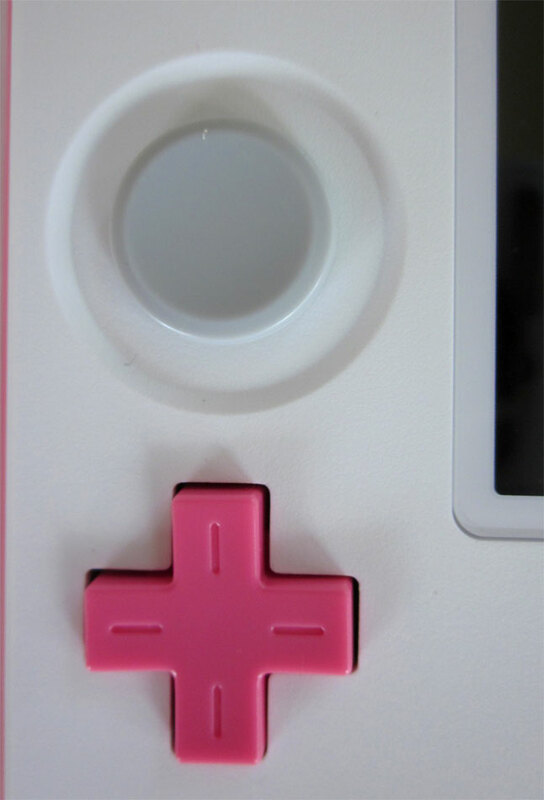 Close-up of the pink Dpad and analog stick. 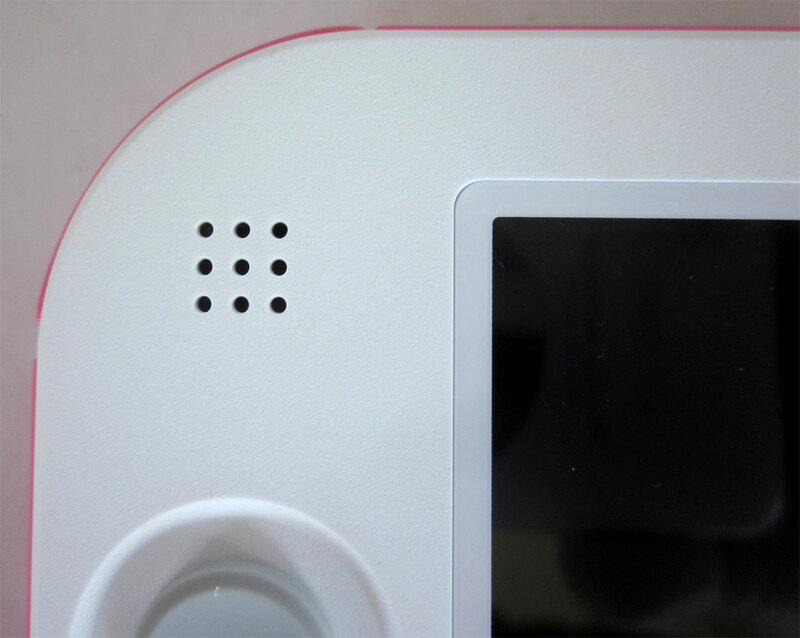 Close-up of the mono speaker on the upper left corner of the 2DS. Stereo sound is available via the headphone port. 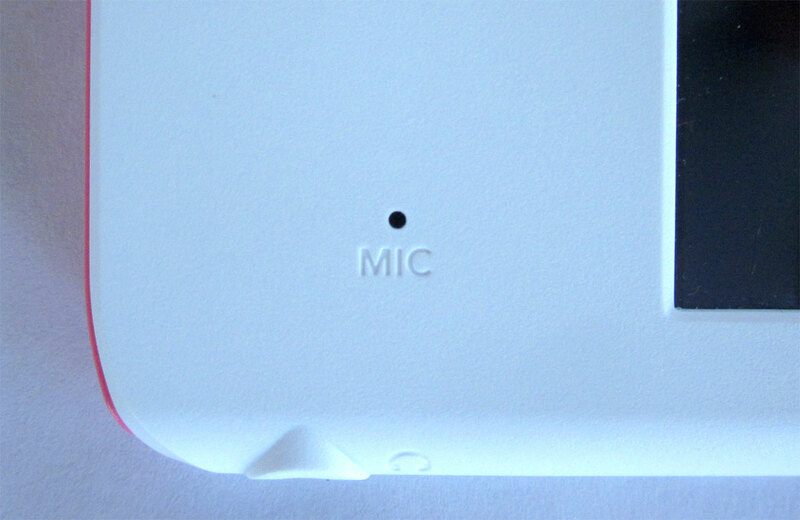 Close-up of the microphone on the lower left corner of the 2DS. 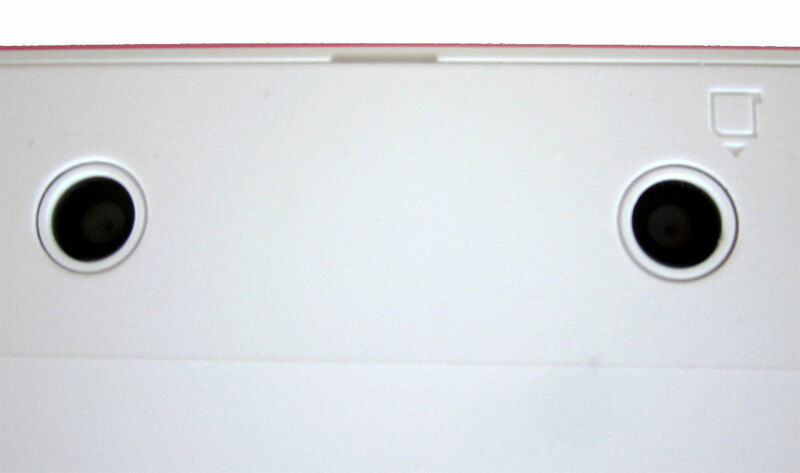 Close-up of the HOME button below the lower display screen on the 2DS. 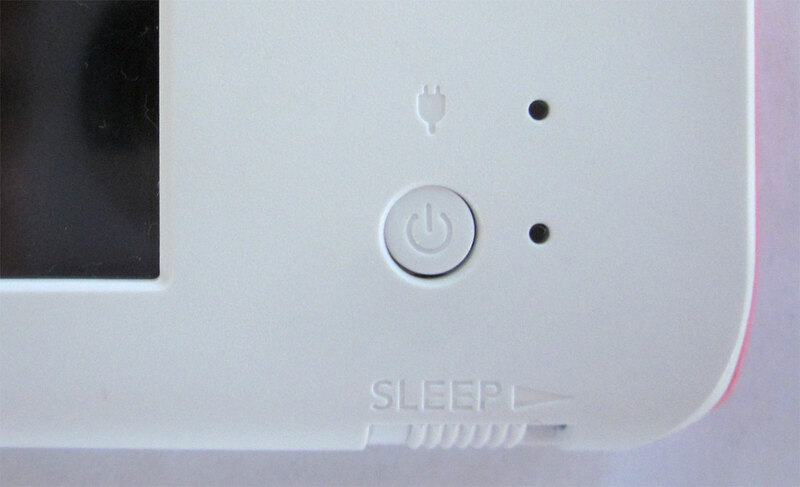 Close-up of the SLEEP switch on the lower right edge of the 2DS. It allows the 2DS to conserve battery power while still remaining alert for StreetPass and a few other functions. Close-up of the Power button and the indicator lights for power and charging status. 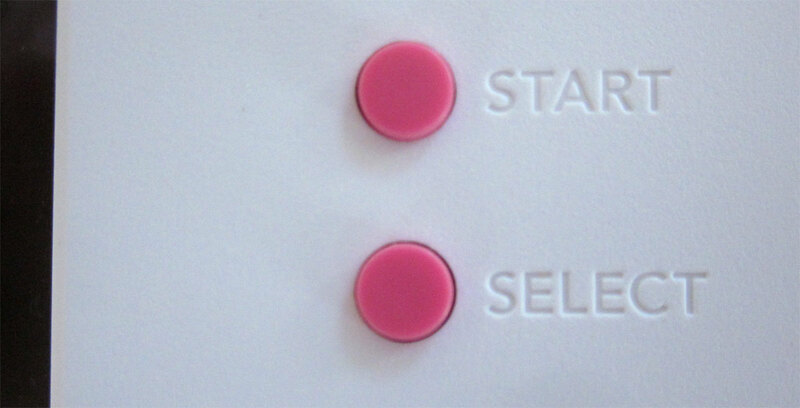 Close-up of the START & SELECT buttons. Close-up of the 4 fire buttons - A, B, X, Y.
Close-up of the StreetPass indicator light. Turn on StreetPass! It works with the built-in games, but many other titles take advantage of it too! Close-up of the single cam above the upper 2DS screen. Close-up of the flap/door covering the SD card slot. Aslo show is the opening for the stylus storage. Close-up of the SD card. The dual 3D cameras on the back of the 2DS. 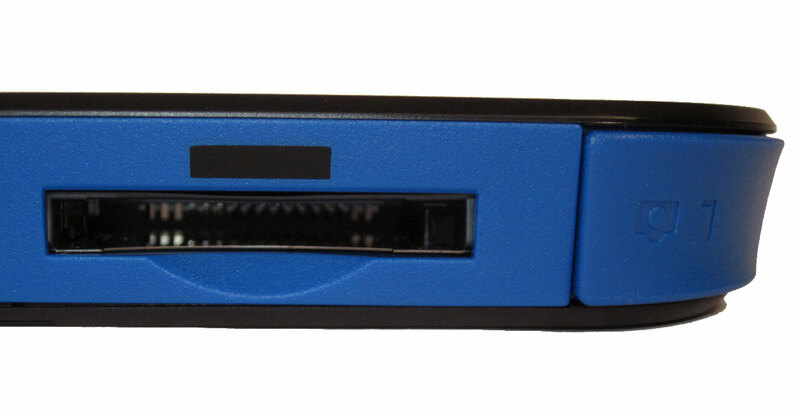 The game cartridge slot and Infrared Transceiver. 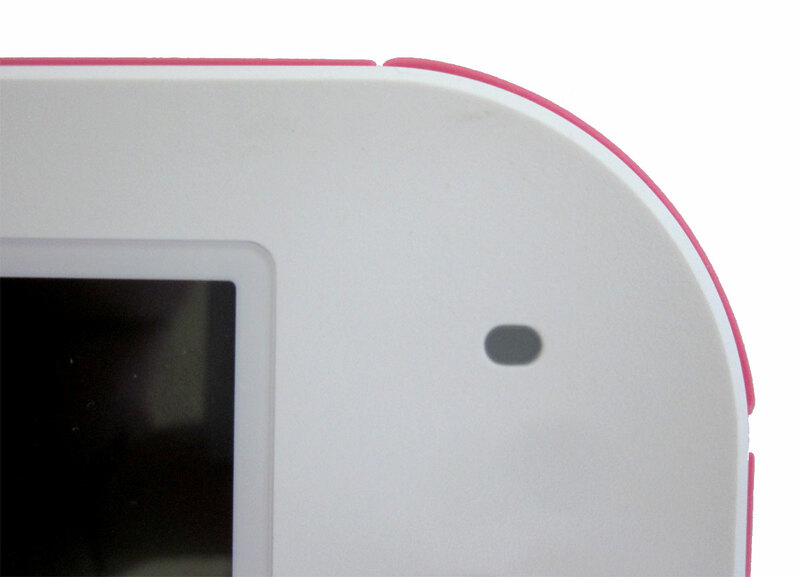 Close-up of the headphone port on the bottom edge of the 2DS. This port provides stereo sound. 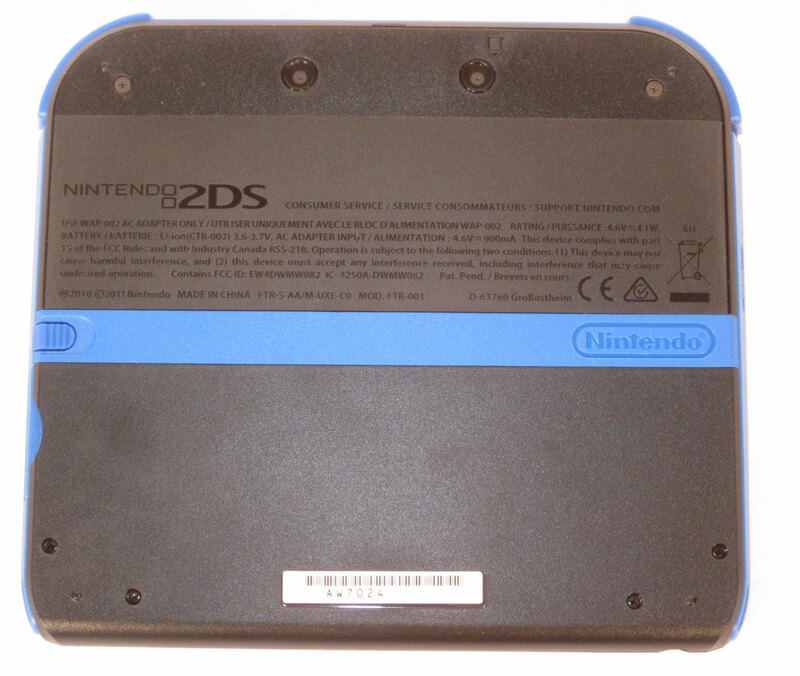 Close-up of the 2DS power port. 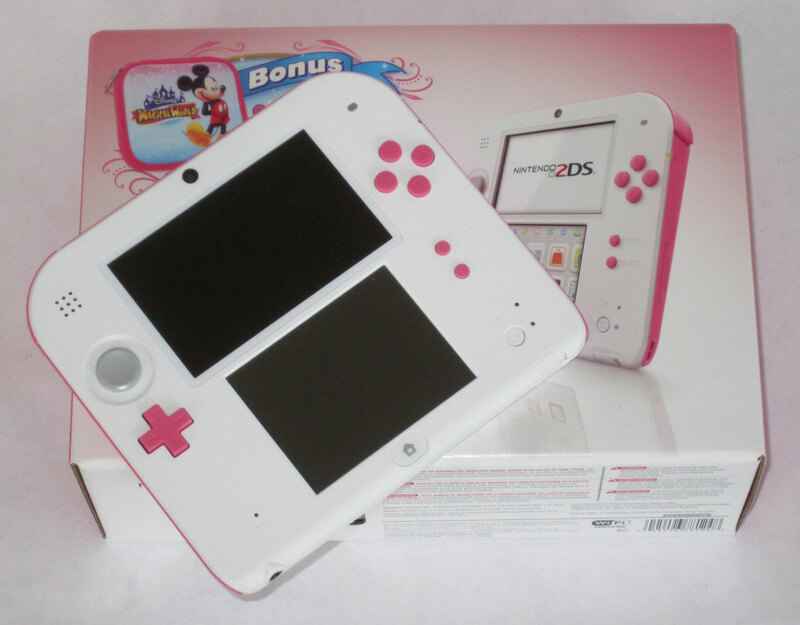 This Disney themed case came with the Peach Pink Nintendo 2DS. 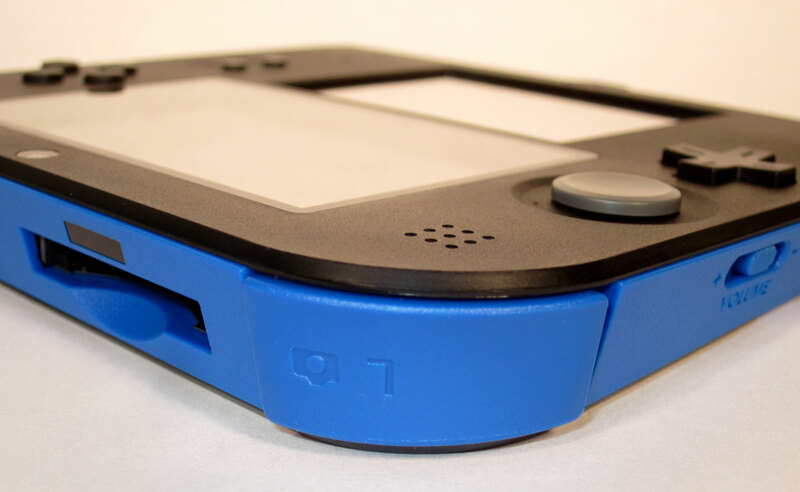 It holds the 2DS and has a flap to protect the screen from the area that holds game cartridges. 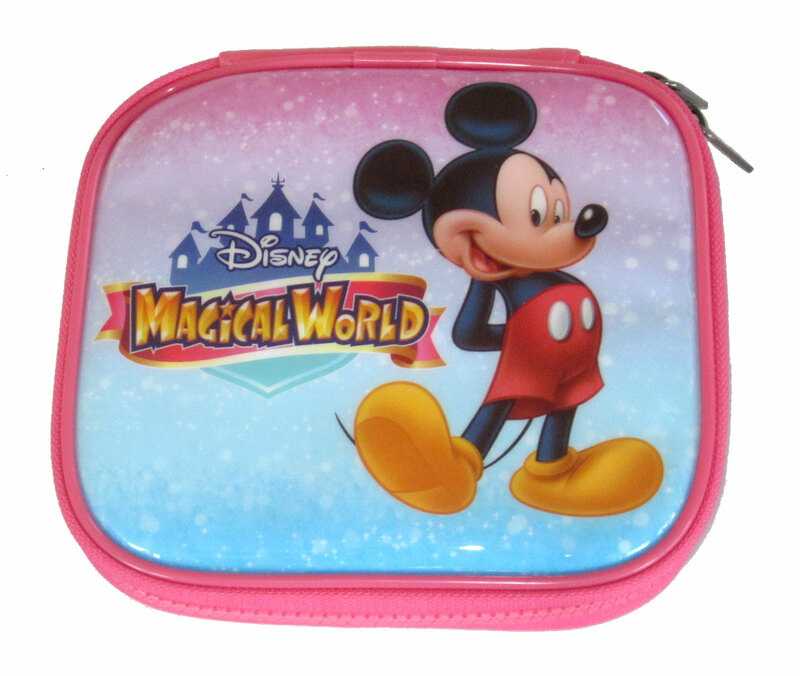 The included Disney themed case holds 9 games and has a protective flap for the 2DS screen. You may want to buy an additional stylus as they are typically a bit longer and easier to hold. 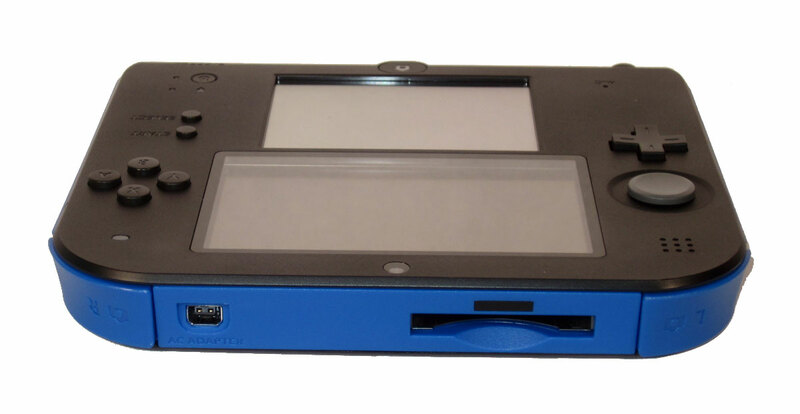 However, the 2DS has a built-in stylus that stores inside the unit about halfway down on the back side.